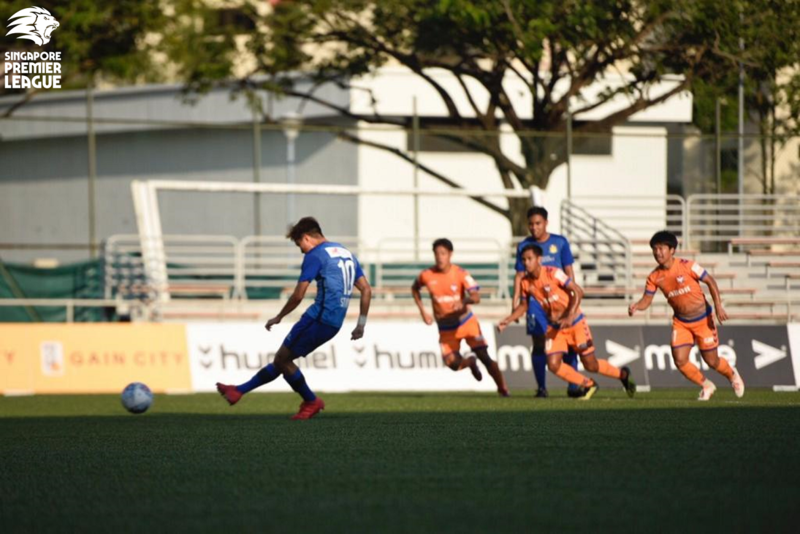 Stanely Ng scored a penalty to give Hougang the lead. SINGAPORE, 23 SEP 2018 – Shahfiq Ghani struck a free-kick deep in stoppage time to help Hougang United FC achieve an unlikely 2-2 draw against champions Albirex Niigata FC (S) at Jurong East Stadium on Sunday evening. Hougang: Ridhuan Barudin (GK), Muhaimin Suhaimi, Illyas Lee, Faiz Salleh, Jordan Vestering, Nazrul Nazari (Fareez Farhan 68’), Fabian Kwok, Shahfiq Ghani, Nurhilmi Jasni (C), Stanely Ng (Antoine Viterale 81’), Chang Jo-yoon (Fazrul Nawaz 88’).